Subsistence agriculture is a difficult practice in a world of uncertainty in temperatures and rainfall, and food security in some areas is a primary concern. A study by Bee (2014) looks at potential effects of the changing climate on the lives of women in rural Mexico, and gains insight into the choices they make given their “socio-political, economic and environmental contexts”. Eighty-eight percent of the female interviewees claimed to be engaged in “unpaid domestic work”, which includes the provision of daily food for the household through crop farming, namely maize and beans. Bearing the burden of household food security against unfavorable climates, these women act as teachers and decision-makers. They have learned to adapt to the weather, gaining knowledge about food sources and cultivation and passing that knowledge on to their children. The main crops, maize and beans, are deeply ingrained in the Mexican culture, and many interviewees showed a clear need for the staples. Crop cultivation is, however, susceptible to annual weather conditions. Currently, the women of La Colorada and La Cuadrilla have developed practices to maintain food security during hard times. One method of keeping a steady inflow of food involves the gathering of quelites, or edible wild plants, while weeding. This provides the household with sustenance without sacrificing money or other produce. Unfortunately, the situation is complicated with the changing climate and its potential threat to the subsistence agriculture lifestyle. It may be the case that genetically modified crops must be introduced in order to continue the steady consumption of maize and beans in less predictable climates, which is a program sponsored by the Municipal government of La Colorada. Participants of the study have expressed skepticism and discontent for the introduction of GM seeds that may threaten the land quality, and that produce crop of different taste and texture. The women’s lifestyle informs and defines the decisions they make. Ultimately, Bee argues that regardless of the situation, women play a crucial role in the rural Mexican household. They are “active agents in knowledge production and decision-making in the context of uncertainty”, and it is the study of their behavior that can give insight into potential adaptive strategies and public policy with regard to climate change in rural areas. Bee, B. A., 2014. 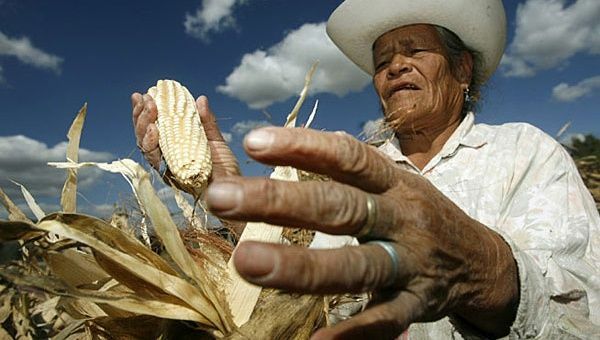 ‘‘Si no comemos tortilla, no vivimos:’’ women, climate change, and food security in central Mexico. Agriculture and Human Values 31, 607–620. This entry was posted in Agriculture, Russell Salazar and tagged Agents of change, agriculture, Climate change, GM crop, Mexico, Subsistence Agriculture, women by Emil Morhardt. Bookmark the permalink.